Kohinoor Labels Pvt. Ltd. | RDX Solutions, Inc. 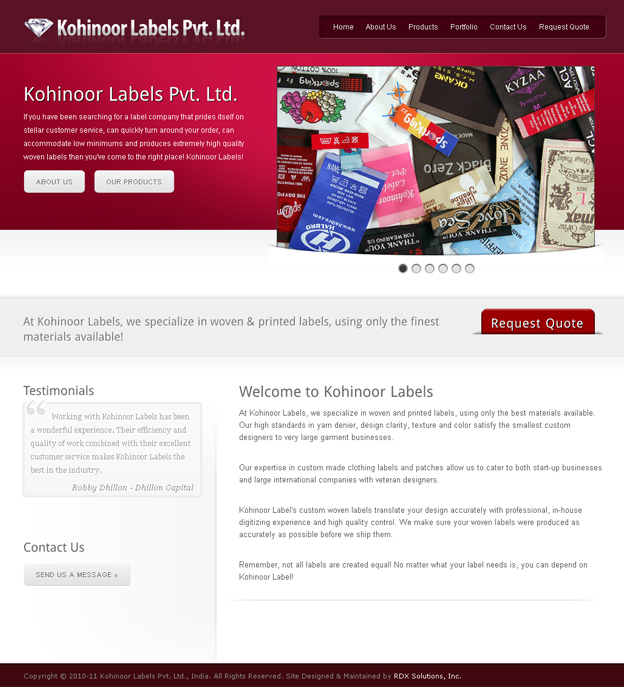 The Client: Kohinoor Labels Pvt. 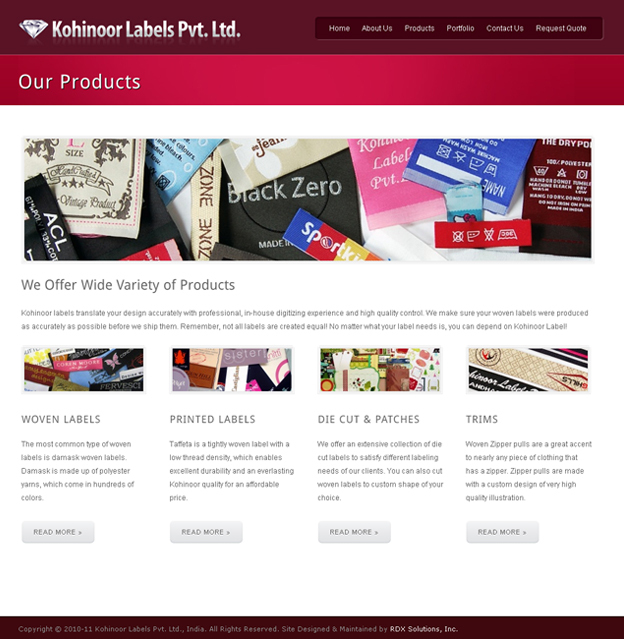 Ltd.
Project Description: If you have been searching for a label company that prides itself on stellar customer service, can quickly turn around your order, can accommodate low minimums and produces extremely high quality woven labels then you can rely on Kohinoor Labels! Kohinoor Labels Pvt. Ltd. specializes in woven and printed labels, using only the best materials available. Their high standards in yarn denier, design clarity, texture and color satisfy the smallest custom designers to very large garment businesses.